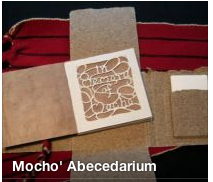 One of the special treats of my visit to Cleveland was the opportunity to spend a little time with Laura Martin's In Memory of Mocho' Abecedarian book. 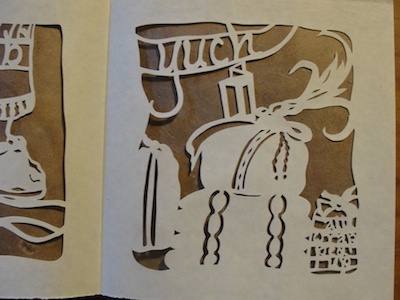 As I sat at the wooden table, Laura slowly unfurled the woven wrapper to reveal the book enclosure and then the accordion book. 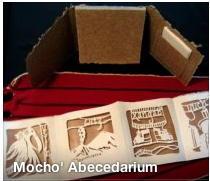 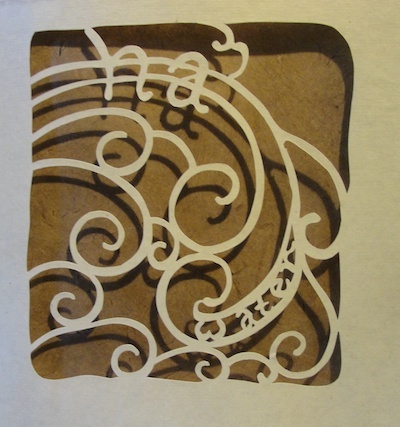 Inspired by her study of the Mayan language of Mocho as a Professor at Cleveland State University and a class in paper cutting with Beatrice Coron, Laura created an intricately cut page for each letter of the alphabet. 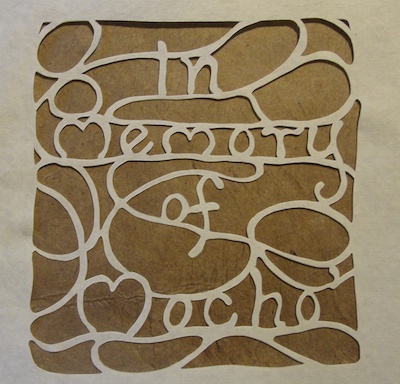 In Memory of Mocho' is a work of great detail and depth and reverence for a culture. I was honored to hold it in my hands. 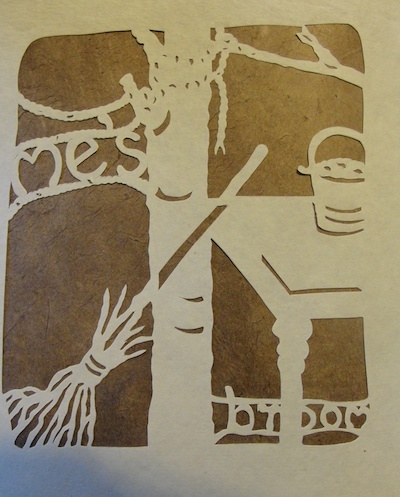 This is one of an edition of three. 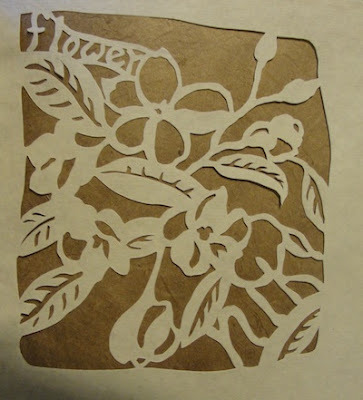 You can view more photos taken by Laura here.